Stories are potently engaging - there's neuroscience to back that up, by the way - and have been proven to be the most memorable form of communication. Advertising, not surprisingly, is rife with well-told stories. Advertising stories make us feel good about the brand. They win awards for their creators. They effectively kill time until the actual thing you're watching is back on the screen (Funny! Poignant! Ridiculous!). But they often don't do much selling. Hold it right there, someone will say. Selling will ruin the story! It's so...gauche. Plebeian. Coarse. Well, call me a buzzkill, but that's kinda what pays the bills - making sales for the client. At least at our place it is. The Beginning. Any good story immediately engages the audience. Your opening will draw them in, make them believe it's going to be worth their while to listen. When your story is intended to sell something, this is where you create interest in the brand, rather than in the story. This consumer connection to the brand is what the rest of the story is built upon. The Middle. You know the standard storytelling stuff like plot and character. It's through these elements that we're led through the narrative, kept interested, wanting to hear more. In storyselling, these elements are information and demonstration and validation, because we're using the story structure to sell a thing, not the story itself. And just like in a traditional story, you've got to construct and maintain a flow, to build and develop interest along the way. The End? Your traditional story builds to a climax. In advertising, the climax is often the reveal of the brand. (Too often, the brand is just a character or a plot element, somewhat tangential to the story, but that's another conversation.) When you're selling, you give it up right up front; you deliver the brand proposition early. Because the objective of this story isn't to collect the curious along the way, but to have the prospective consumer identify and connect with the brand proposition, and then make the story about them. 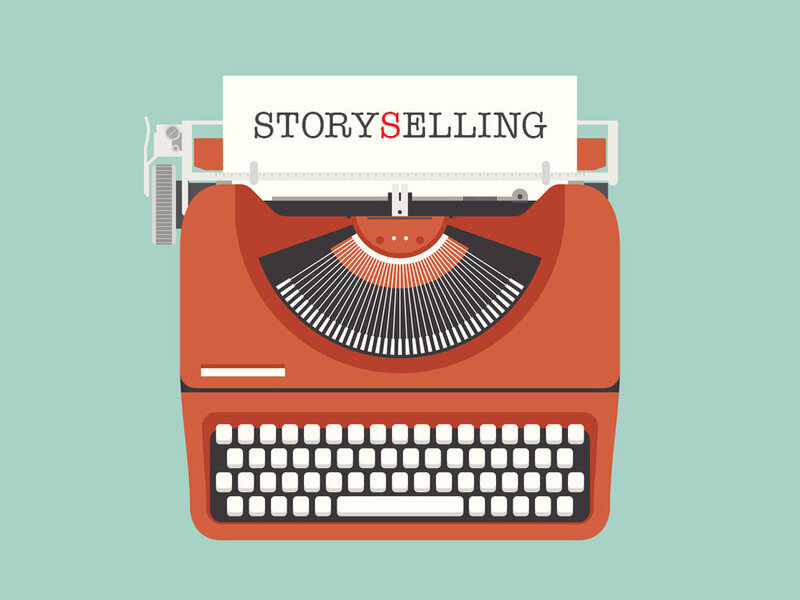 Long story short: while “storytelling” gets all the buzz, storyselling gets results. And that's the kind of ending we all love.